The pitch "From the creators of 'Transformers" wasn't a good start. 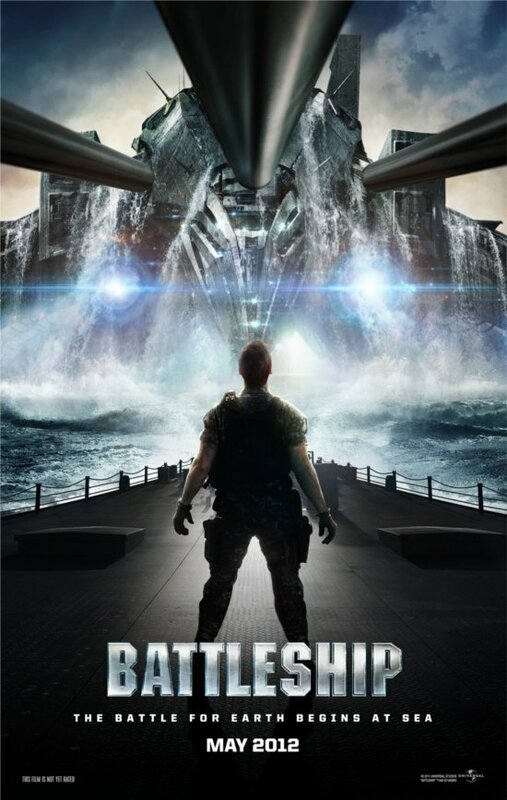 I misread the poster and went into the cinema under the impression that Battleship was by the Director of Transformers, and that I was seeing the latest Michael Bay blarg. Nothing in the film even began to challenge this misconception. In fact by the time the credits were rolling, I was shocked--shocked--that Mr Bay had not in fact directed this cesspool of a movie. The entire premise is basically 'Armageddon... joins the Navy! ', and such would have been a much more fitting title. We begin with a cringe-inducing setup for the love interest, complete with as many clichés as you can imagine for a film using the navy (yes, it's the admiral's daughter). It's immediately followed by an equally trite set-up for out hero joining the navy (yes, to 'straighten up and fly right' blah blah etc). Then, there's a completely bizarre soccer sequence, which simply does not belong in the film, used to set up the main 'frienemy' of hero. To be perfectly honest, I'm bored even describing these scenes. From here, the next two-thirds is nothing more than battle sequences and a 'redemption' relationship between the love interest and a retired army guy. That may have injected the film with something redeming, had it not been for the complete lack of depth or emotion from the cliché-quipping retired army dude (even lampshaded at one point with "Who even talks like that"). We see a drawn out battle between highly-advanced aliens and the modern US navy which has more plot holes than one could keep count; perhaps the worst being that the world was not saved, but rather it's destruction has been postponed until the alien homeworld finds out what happened. No characters ever give us any sort of depth, at no point is there any sort of meaningful twist or interesting development, and Liam Neeson just looks embarrassed to be there. There's also a battleship doing a handbrake turn. Yes you read that right. I struggle to find anything I liked about this film, but only come up thinking 'hey at least it wasn't X' and 'at least it didn't have any Y'. It seems that our director, Peter Berg, has simply tried to emulate Michael Bay as closely as possible, which is a little like hearing a reasonably talented female singer decide to try to emulate Nicki Minaj. It's an action exploitation film in which every action sequence is 'stupid'. 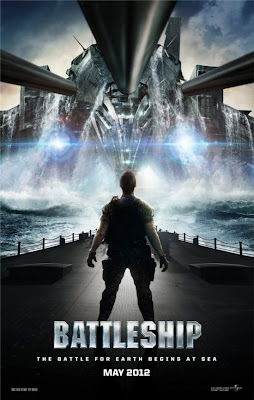 There is a way kids use the word 'stupid' as to mean, not lacking cognitive abilities, but simply being devoid of any care or deliberation in it's creation, and by this definition of 'stupid', Battleship is a very, very stupid film. In not finding a single redeeming quality in it, I'm giving it my lowest possible rating.